The Pricing is one of the most important exercises in Marketing, it’s the final validation of the value of products to the customers. We might succeed brilliantly in the acquisition process of customers, using the best SEO, targeted ads, Marketing Automation techniques and yet fail in the step of Customer activation because the suggested Price is beyond the customer's perceived value for that product. This relationship between pricing and value, reveals the problem we face: trying to build a decision for the Price, which is a concrete and measurable attribute of the product, based on an intangible, subjective and dynamic concept which is the Value. 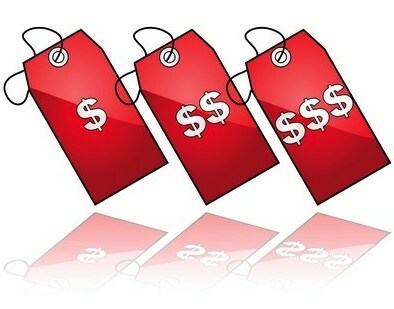 In the modern pricing theory, the pricing optimisation problem takes into consideration the consumer surplus hypothesis, where we assume that the buying decision takes place only if the perceived value is higher than the price of the product and that every customer seeks to maximise his consumer surplus. From that perspective, companies optimise their pricing tactics within the interval between the product cost, and the perceived value of the product, regarding the constraints dictated by the company's Pricing Strategies, whether it’s a skimming, penetration or price war strategy etc..
To build a great Pricing strategy, companies need to develop a deep understanding of the perceived value of the product to their customers. The value is dynamic because it keeps changing in regards to the current situation of the customer. Obviously, an umbrella on a rainy day has not the same value as in a sunny one. In theory, that means that technically, to build Dynamic and Customized Pricing tactics, we need to take into consideration the timing, the context and the customer profile. And this may result in different prices, at different timing for each different customer. One of the most common approaches used in the past to infer the value of a product was based on the use of Survey Data. Where Marketing Analysts show consumers several product profiles, varying Price and other product attributes (ideally orthogonally designed) and ask them to rank these profiles. Then Analysts uses Full profile Conjoint Analysis, Hybrid Conjoint Analysis or Discrete Choice Analysis, to infer the importance of Price (and other product attributes) to the customers and estimate its Price elasticity. The Pricing problem is then framed as an optimisation problem to maximise Revenue or Profit. Tools such as Excel Solver engines (Simplex, GRG and evolutionary) where then used to find the best Price. Today, the Big Data enables us to be more factual. Indeed, we no longer need to use declarative consumer's intentions about buying or not and at which price. We can simply use server log data, containing detailed information about the real choices that customers did. Once we collected all the transactions log data, building the right Dynamic and Customized Pricing tactics is first a matter of Feature Engineering: which means defining and selecting the most important attributes to take into consideration in the Pricing process. Those features could be Product related, such as brand, price, colour, technical features of the product. They could be Customer related, such as sociodemographic attributes and customer’s purchase history. The Pricing could be built using more Advanced features, using the mouse clicks data, the identification of the acquisition channel, and the customer’s interactions with the company's communications campaigns via Direct emails, facebook, twitter etc..
Once the Feature Engineering is operated, using the available data sources at the company level, comes the Modelling tasks. To the Pricing problem can be modelled as a two-step classification problem : At first we predict whether the user will buy the product, and if the prediction is positive, then we predict the price he might be willing to pay. The two classifiers can be trained as a supervised machine learning problem, learning from the historical data and using the engineered features. Many classifiers can be used, such as Logistic regression, generalized linear model (GLM), Extreme Gradient Boosting (xgboost), Neural Networks. The choice between those techniques depend mainly on the trade-off between the accuracy, scalability of the algorithms we might need.